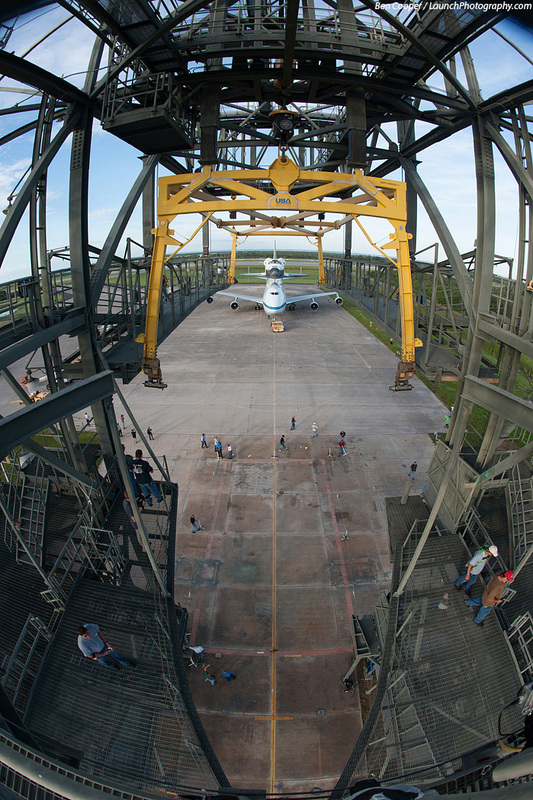 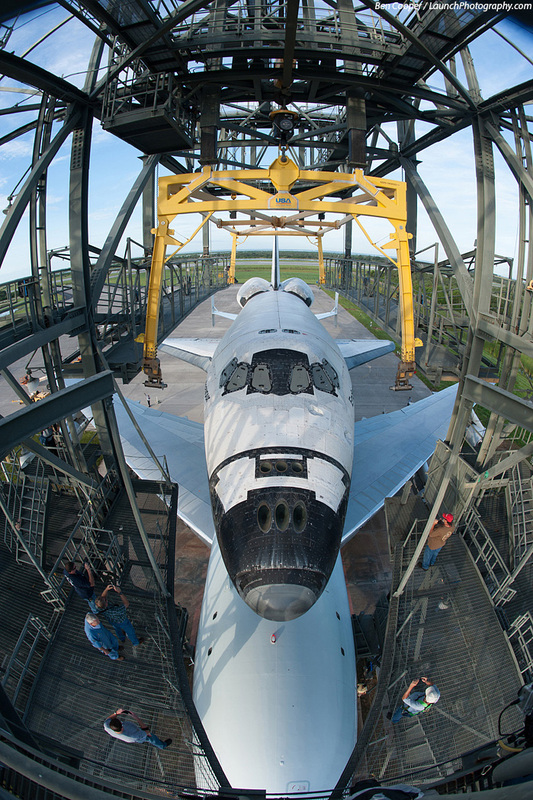 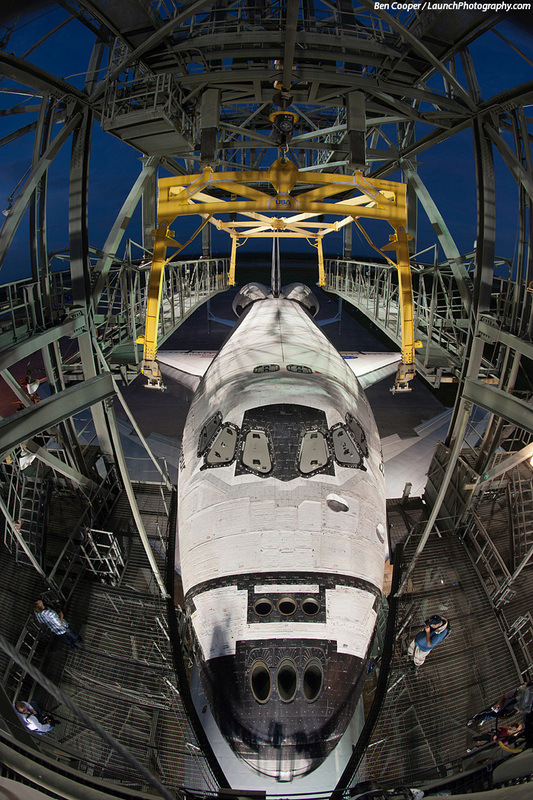 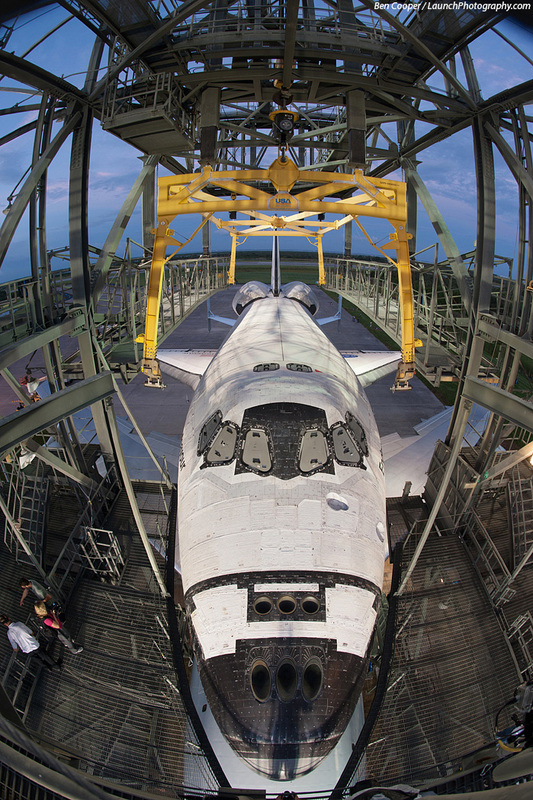 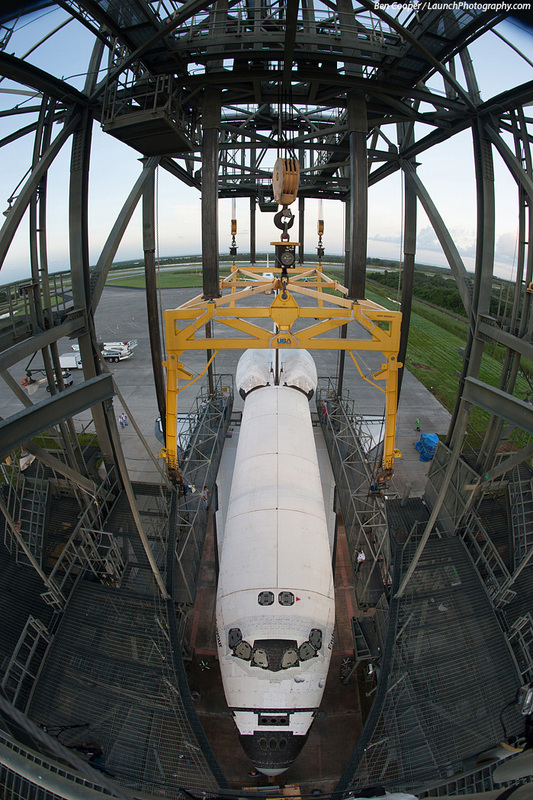 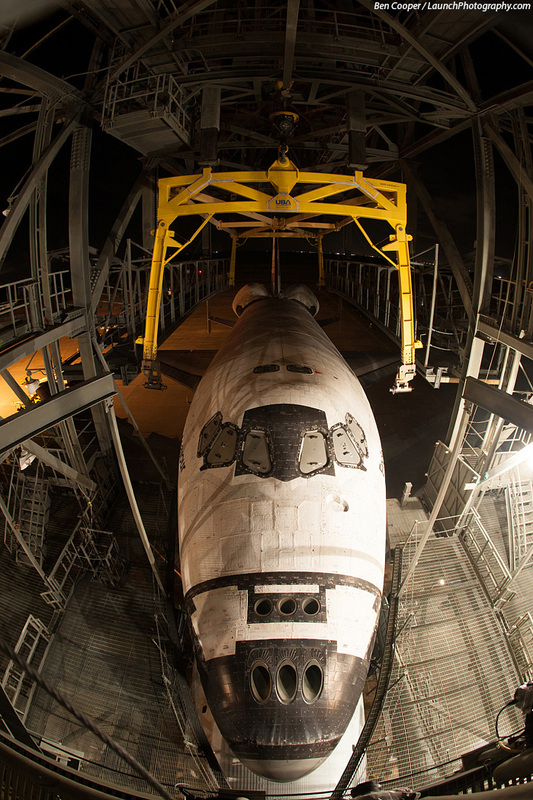 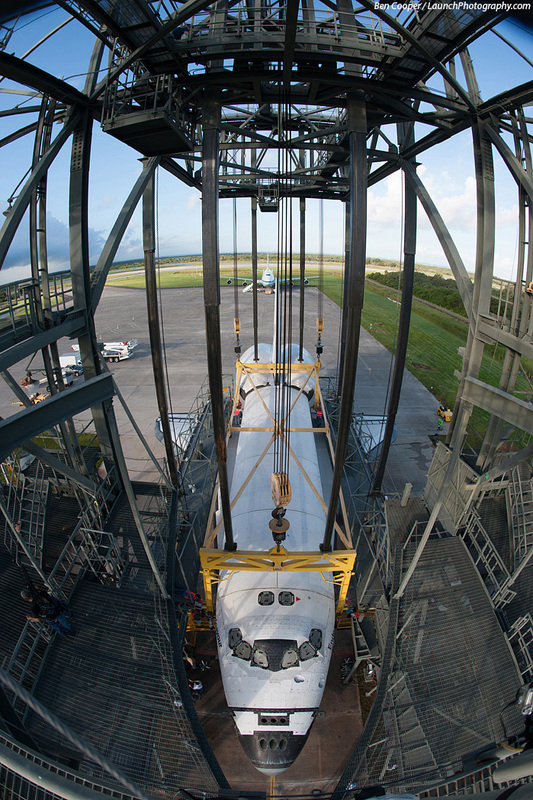 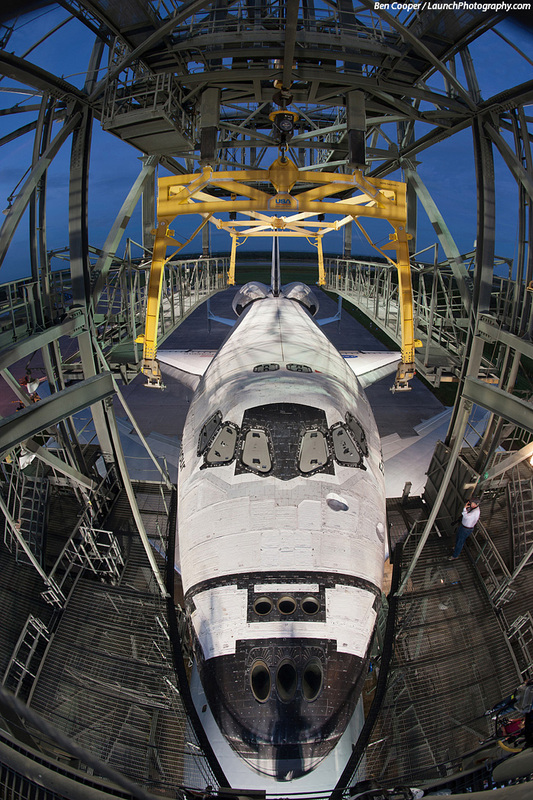 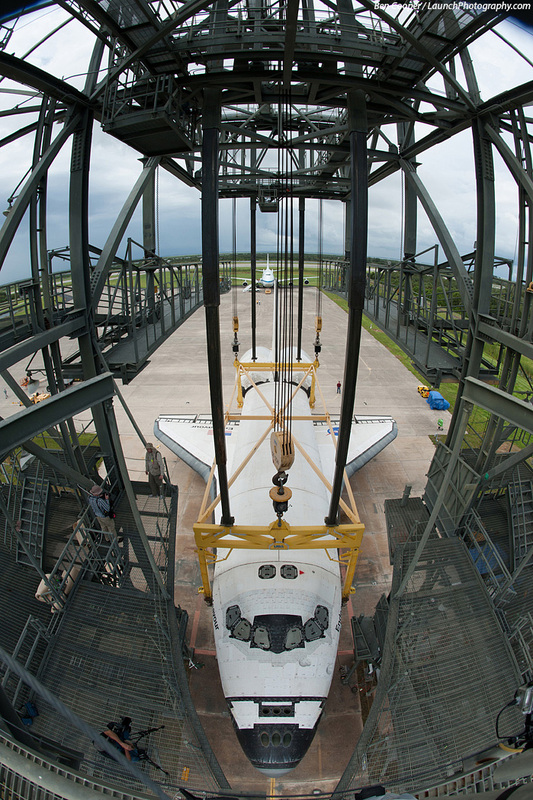 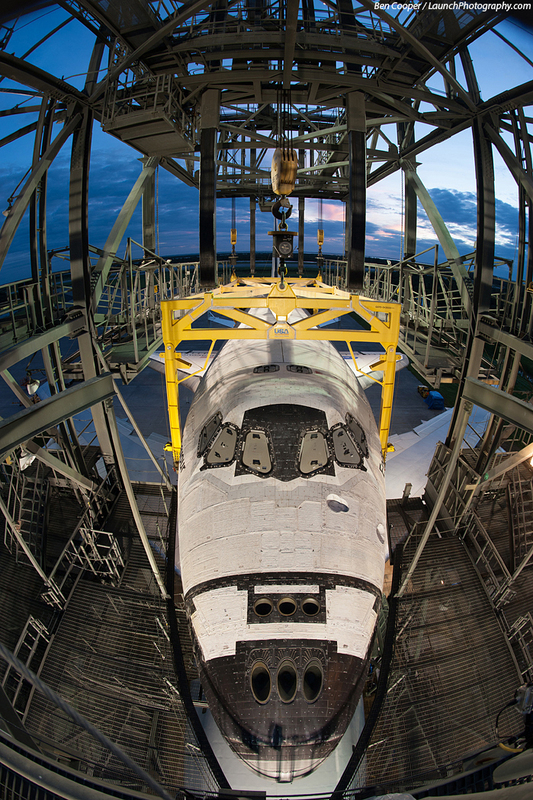 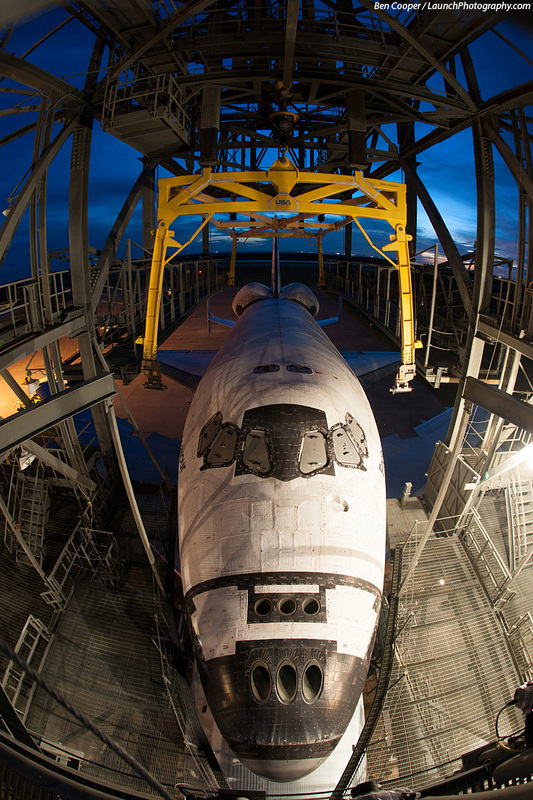 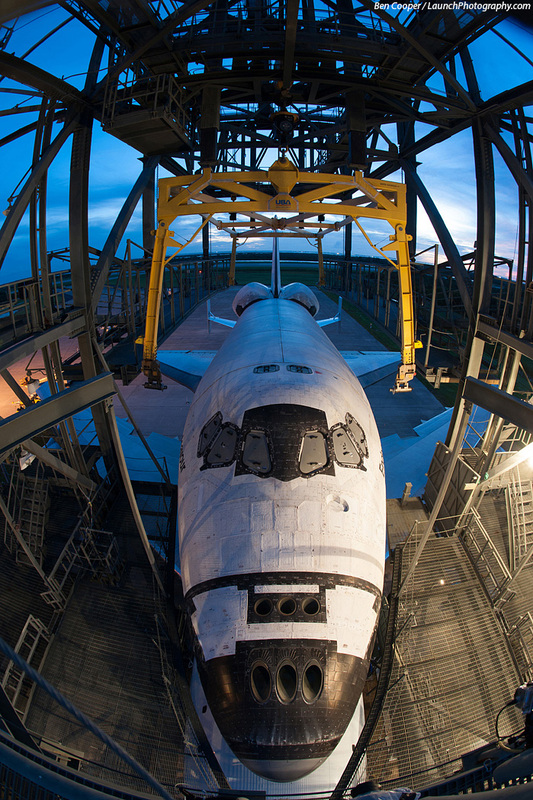 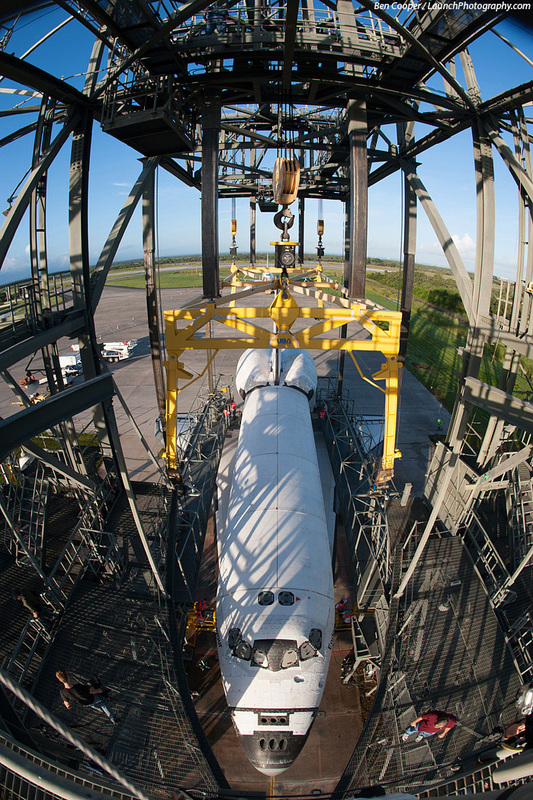 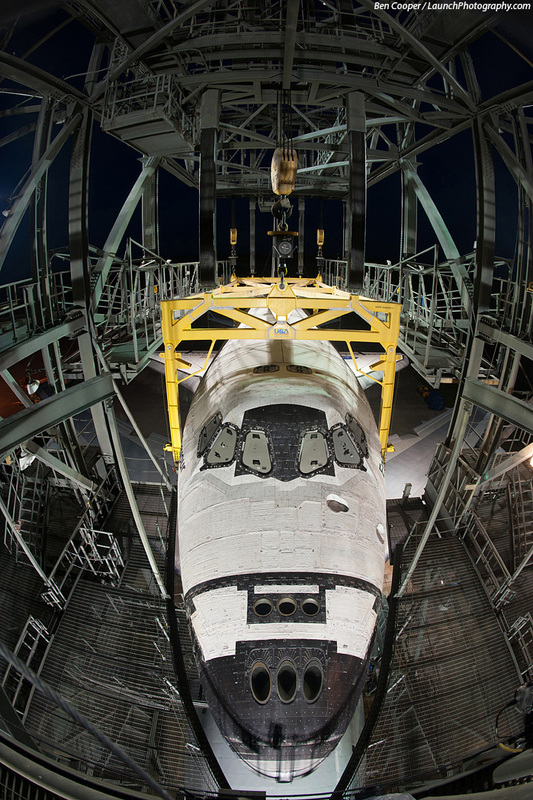 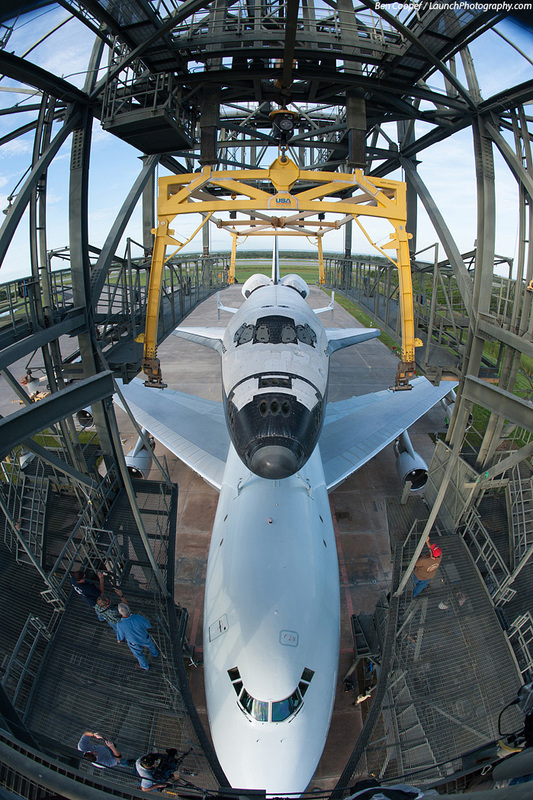 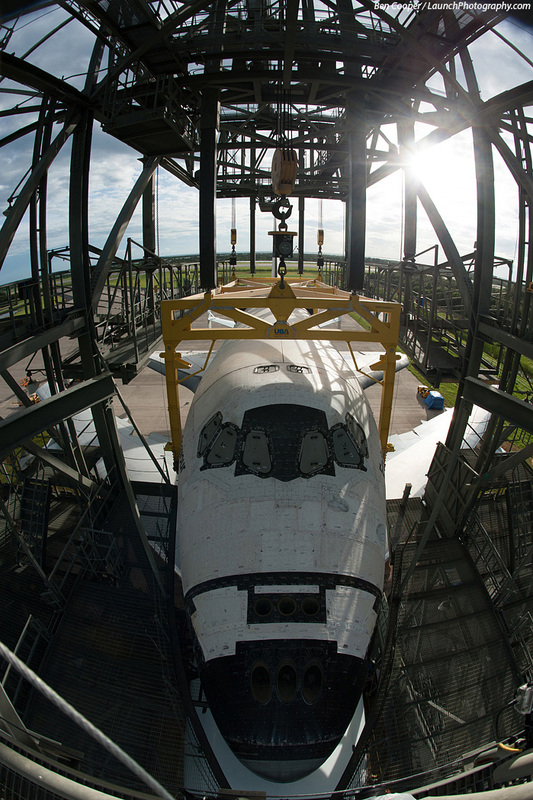 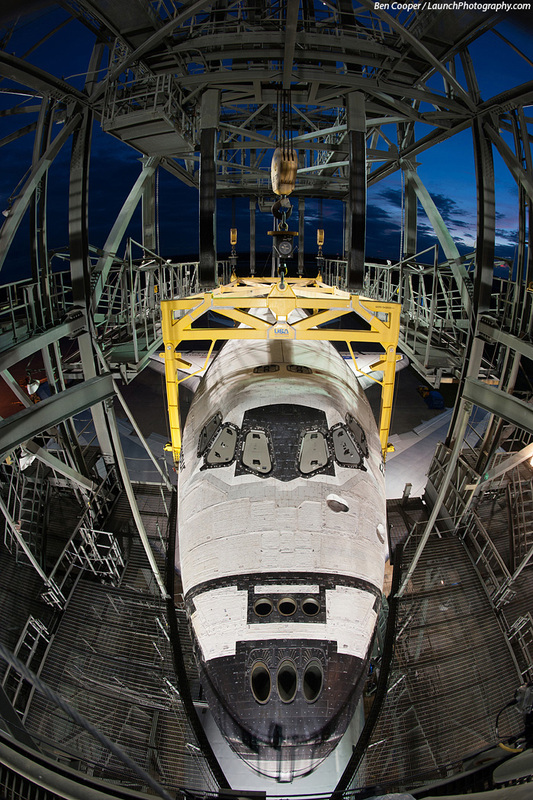 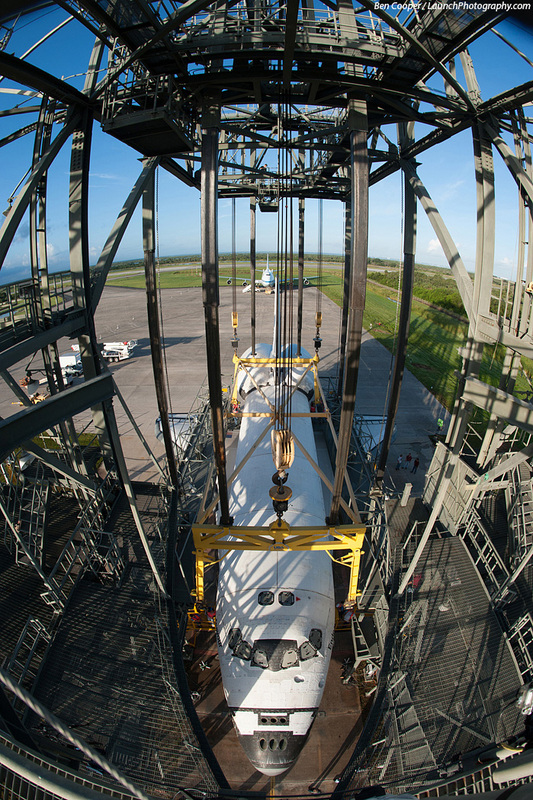 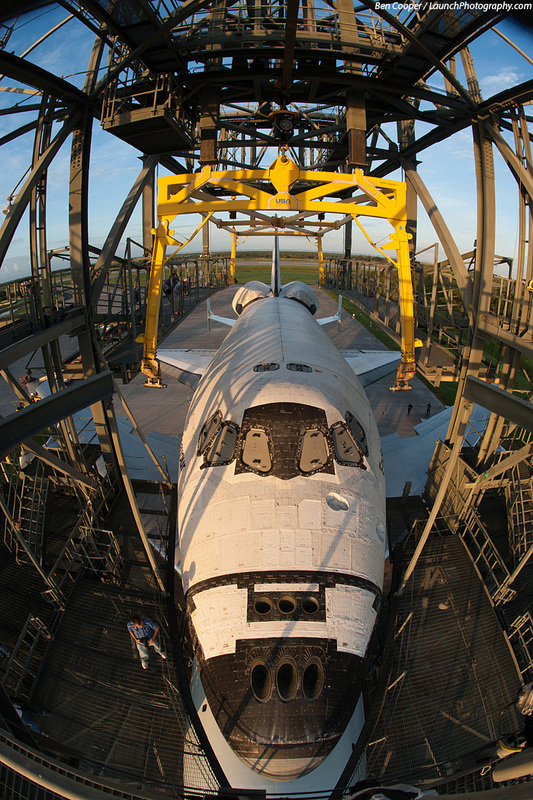 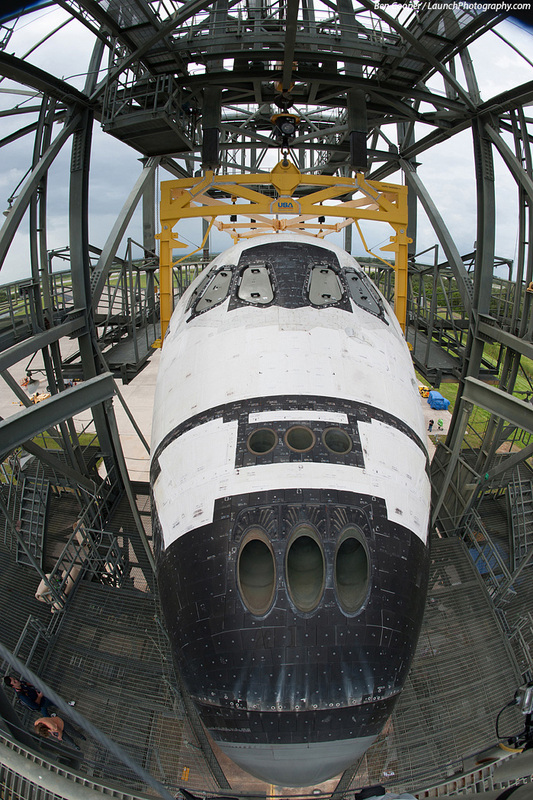 A fisheye camera mounted atop the ten-story Mate-Demate Device (MDD) captures the three-day process to lift the 100-ton orbiter Endeavour and place it atop the 747 Shuttle Carrier Aircraft. 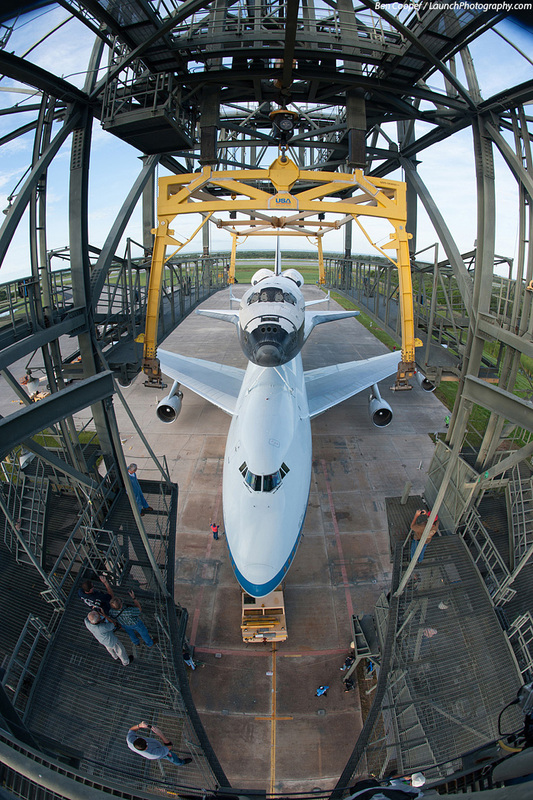 The camera photographed the process every 10 minutes for nearly three days, and every one minute for the final process (about an hour or less) of pushing back the 747 out of the MDD for takeoff. 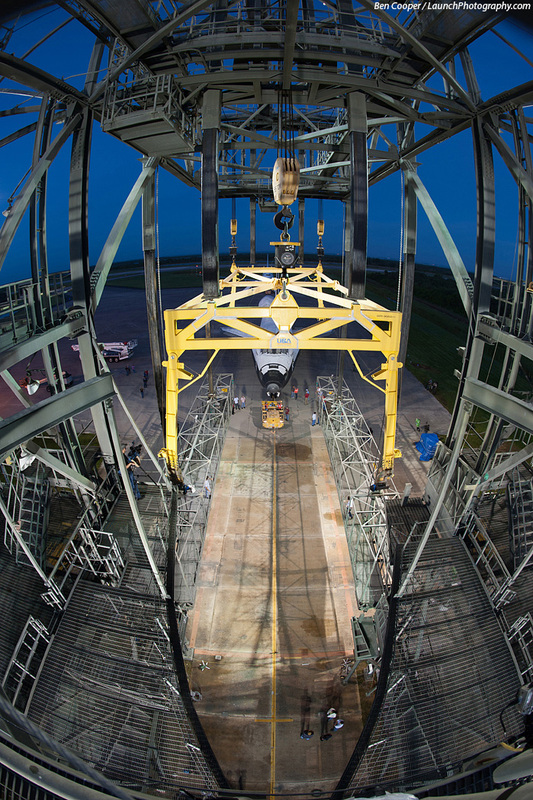 Note that the selections on this page pick out the best shots and key events - particularly sunset, twilight and night shots, plus the crane attachment and detachment, lift to mate, and pushback of the 747 - from the several-hundred-photo sequence. 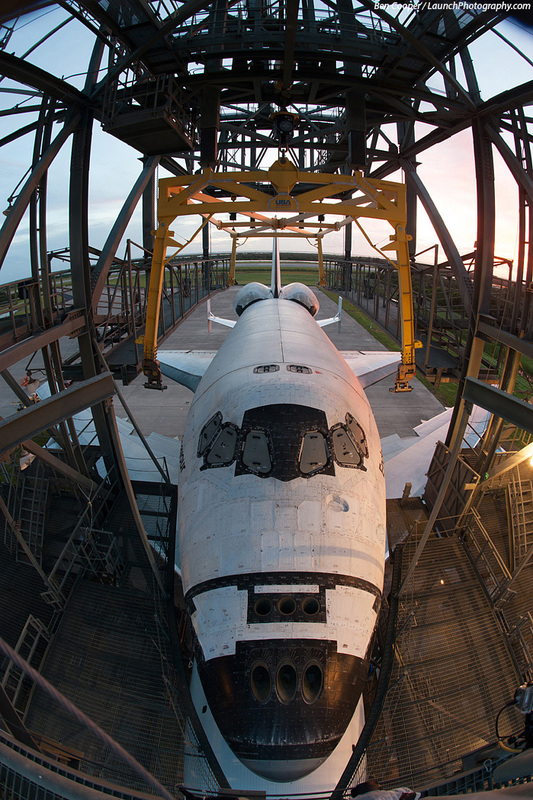 Most daytime and night shots were similar, but a time-lapse movie may be available soon to view!